How interesting is this? 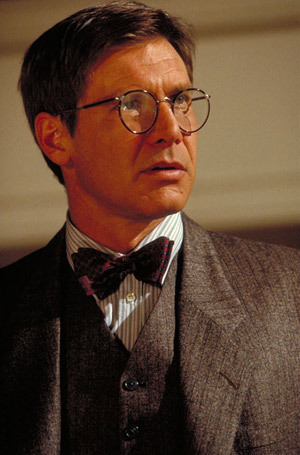 When you type the word "professor" into Google and search for images, the picture of Harrison Ford as Indiana Jones is the first image to appear. If you search for "female professor," the digital image of a lady avatar is the first one displayed. I recently read a blog posting where a real-life professor discusses appropriate attire for those who teach on the collegiate level. Are tie-dye t-shirts acceptable? Do students show more respect for teachers who dress nice? The comments varied, but the overall opinion is that yes, dressing up does make a difference in student perception and attitude. 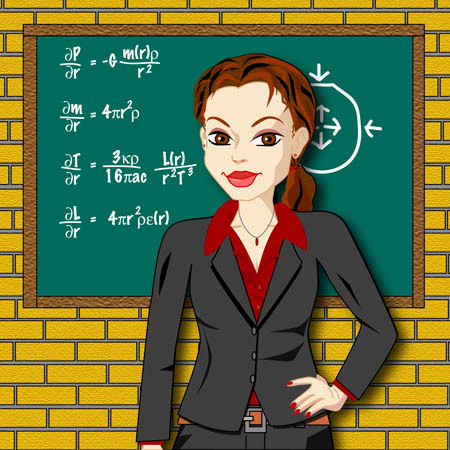 There may even be some differences in expectations between male and female professors. For example, on the campus where I teach, the instructors in the nursing department are usually dressed quite nice. If you stroll down the halls of the science building, several of the male biology and chemistry professors will probably be wearing t-shirts. Is it subject matter, clothing, or gender that dictates more respect from students? In any given universe, I would also have to happily concede that Indiana Jones (looks, dress, and subject matter) is THE ideal male professor. The female image is a little more distressing to me, since it is not of a real person. Her appearance is flawless (albeit fake,) and her subject matter is quite impressive; the equations on her imaginary chalk board are (apparently) the formulations for maintaining a star in hydrostatic equilibrium. Astrophysics is certainly an obtainable subject, but the avatar image is, sadly, another reflection of our women-should-be-Barbie-dolls culture.